With a team of experts with a background in financial management, taxation, accounting, and related fields, our company can deliver a wide array of services to help manage your finances, whether you are an individual or business client. Our goal is to make everything easier on your part while making sure you will not have any legal trouble with the tax authorities in the future. 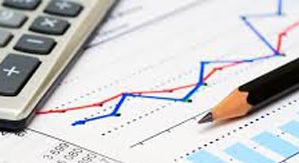 With the services we can provide, you can be guaranteed of comprehensive financial management. Being audited by the IRS is one thing that is being dreaded not only by businesses, but also by individuals paying their taxes. Fortunately, there are different things you can do to avoid such audit, which can possibly put you or a business in a bad light. To prevent IRS audits, it is important to pay all taxes on the right time, make sure employees are being compensated properly, and property taxes are filed each year. You should also be as honest as possible in all your tax declarations, making sure there will be no intentional discrepancies. All taxable sources of income should be reported, even if you work at the comfort of your own home. To avoid these audits, consult with the services, we can provide. We can extend a helping hand to make sure your finances will be managed effectively to avoid trouble with the tax authorities in the future. In this challenging economic time, businesses should be more concerned about having improved cash flow, maximizing the value of its assets and making sure it is free from tax-related cases. More often than not, an audit can come as an unwelcomed surprise for both individuals and businesses, which can be triggered by late filings. With this, our company can help you by making sure all matters related to taxation are managed effectively, and hence, avoiding sales tax audits. If you have a business, you are most probably aware of how demanding it is to manage the payroll and taxes of your employees. Aside from their salary, you also need to take care of the federal and state tax requirements, social security, and income taxes. All of these would mean additional duty on your part, but such can be easier by just hiring our services. We have made a reputation in the marketplace as many customers have already outsourced their payroll services to our company in the past. Whether you are an individual or commercial client, our company can be helpful in the management of your taxes, making sure they are paid on the right time. By doing the latter, you can avoid sky-high interest rates and the possibility of being audited. With the services we provide, you can be confident on how all tax-related matters will be given thorough attention by our tax professionals.